Despite research and historical accounts detailing homosexual behaviour in certain pre-colonial and traditional African societies, the idea that homosexuality is ‘un-African’ persists. In Africa it is frequently perceived as both a taboo and an import from the West. 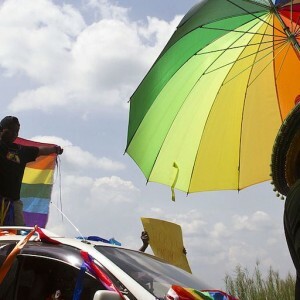 The debate around homosexuality in Africa was revived at the July African Union (AU) summit. The AU gave a deadline of 31 December for the African Commission on Human and Peoples’ Rights (ACHPR) to withdraw the observer status it had granted the Coalition of African Lesbians (CAL). The AU request to withdraw CAL’s observer status isn’t new. The AU’s Executive Council has been asking for this since 2015, when the ACHPR first granted the observer status. CAL started applying for observer status in 2008. Since then, the commission has been faced with a difficult decision – to recognise CAL, knowing it would face a backlash from member states – or decline the application and face criticism for its selective stance on the protection of human rights. The ACHPR delayed its decision until 2010 and then rejected the application, saying it didn’t ‘promote and protect any of the rights enshrined in the African Charter’. This is despite the fact that CAL met the criteria for observer status, which enables an accredited non-governmental organisation (NGO) to raise human rights issues during commission proceedings. The initial rejection of CAL’s application sparked criticism from African and international human rights bodies. In 2014 the coalition reapplied and actively lobbied to be accredited. Its observer status was approved in 2015, pitting the human rights commission against AU member states. Joint retreats between the AU Permanent Representative Committee and the ACHPR have also been tense as a result of this issue. At the June 2018 retreat, committee members were unhappy about the commission’s failure to act on the AU’s calls to withdraw CAL’s observer status. The ACHPR’s job is to promote and protect human rights in Africa. But in practice, its autonomy is questionable. The AU decision says that ‘the functional independence that the ACHPR enjoys is of functional nature and cannot be interpreted as independence from the same organs that created the body’. Yet the independence of the ACHPR is crucial to its effectiveness.